Increasingly Local Authorities require an operable electronic noise limiter in music entertainment venues. These venues typically include pubs, clubs, karaoke bars, gyms, village halls, places of worship and a host of other venues. Engage the expert acoustic engineers to perform a professional noise limiter calibration to keep your venues operating safely and compliantly. Noise limiters for amplified entertainment systems play an important role when a venue is located within close proximity to noise sensitive properties; which is often the case. Correctly installed and set, the electronic noise limiter will automatically control and limit the maximum level of music played within the premises. This allows the venue to easily operate without causing undue noise disturbance which would otherwise prove difficult. The local authority need proof that the electronic noise limiter is periodically checked by a competent person, in order to ensure that the limiter adequately control noise emission levels. As such in most commercial venue’s, a yearly calibration and certificate is required by the local authority. Our acoustic consultants provide a professional noise limiter calibration service to keep your venue open and compliant. 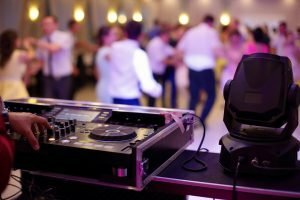 Depending on the type of different noise limiter installed at your venue, they operate in different methods. HA Acoustics are familiar with a wide range of noise limiters and their set-up. The Local Authority may set a specific procedure to determine and limit the level. If not, then HA Acoustics experience enables a suitable calibration procedure to be implemented, depending on your venue’s operating days, hours, type of music/entertainment noise, building facade composition and proximity to nearby noise sensitive receivers. For example, a London Karaoke bar, required assessment after midnight, between lulls in traffic to determine audibility at 1 metre from the nearest residential. 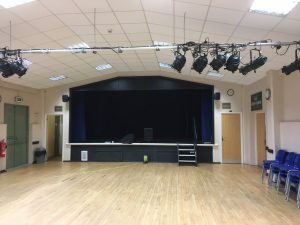 Whereas, a village hall in Essex required a daytime assessment outside of rush hour, with one of two lobby doors open to determine audibility level at a neighbouring premises. 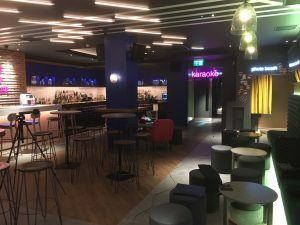 Whatever your specific venue needs, our acoustic engineers can provide a professional noise limiter calibration that keeps your venue compliant. HA Acoustics has a team of acoustic consultants and technicians who are fully qualified to undertake the calibration of your noise limiters. Our experience, efficient procedures will ensure that costs are kept to a minimum. Where issues of noise-break out occur, HA Acoustics are well placed to recommend practical advise to limit sound escape and control noise emissions. Where necessary, we can provide formal acoustic design advice. HA Acoustics are often involved in calibrating electronic noise limiters following the local authority receiving a noise complaint. 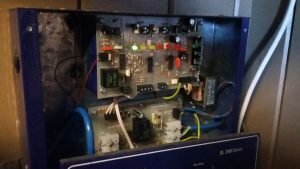 Following testing and calibration of your electronic noise limiter, we will issue a signed detailed ’Certificate of Calibration’, this details venue set-up, test time, methodology, actions taken, Class 1 calibrated equipment used and our details should the local authority wish to raise a query. We have many satisfied clients nationwide. Therefore, if you’re experiencing noise complaints from your entertainment venue, require a calibration of an electronic noise limiter or a noise break-out assessment, contact HA Acoustics for professional, friendly advice.